I first heard about Thrill the World Vancouver a few weeks ago and when I received a follow-up email yesterday, which included a link to my friend John’s videos (below), it was the reminder I needed. 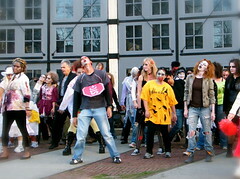 Thrill the World is far more than a zombie dance flash mob and in preparation for the event, over 150 attended the rehearsal/dance lesson this past weekend. 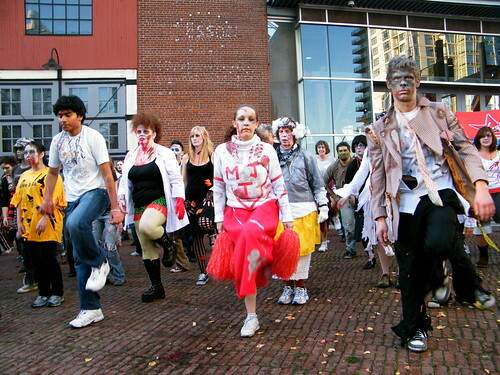 The performance will take place Saturday October 24th outside the Roundhouse in Yaletown at 5:30pm on the nose as participants dance to a choreographed Thriller. 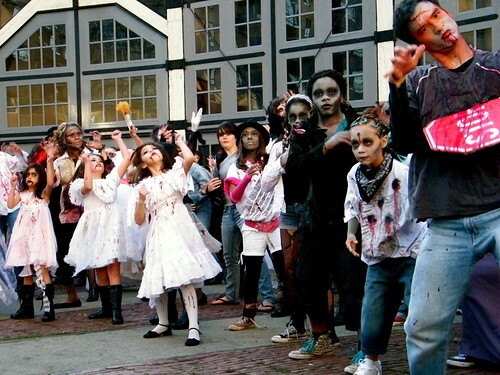 If anyone is interested in being a zombie for the Thrill the World event but missed the rehearsal, they can arrive early at 1:30pm and pick up on the moves the group will be performing. You can also check out the dance script, moves, and audio they will be using online. This is an annual and simultaneous group Thriller dance performed by thousands across the globe as a tribute to Michael Jackson. 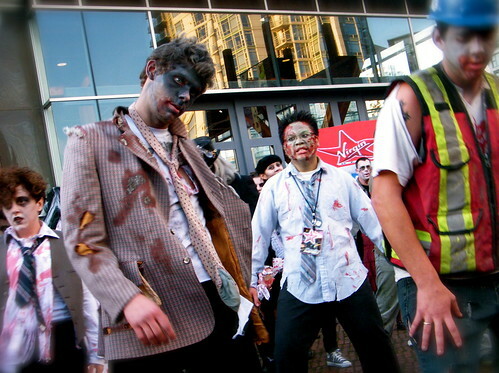 The goal is to break a world record which was set in 2008 when 69 Vancouver zombies danced at the same time as 4,179 people at 79 other events around the world. The Vancouver event last year also raised $1,400 for the Greater Vancouver Food Bank through donations from the dancers and the audience that gathered. Organized by Gravel Road Design, Ceroc Vancouver, the Roundhouse Community Centre, and Inessens.com you can contact Graham Lea if you have any questions or follow or @ttwvancouver on Twitter for updates. There will also be a costume contest for the contestants and I’ll be a judge in two of the categories. The public and media are highly encouraged to come out and document this event. Please bring along a donation or non-perishable food item for the Food Bank if you make it out as well. 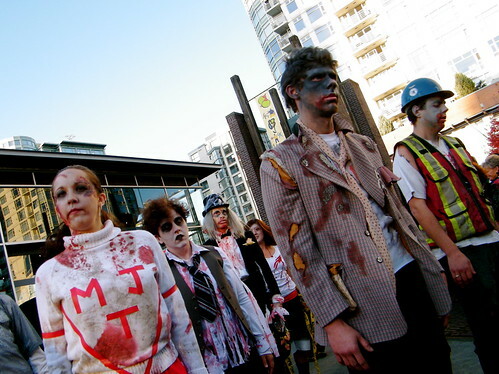 Update: Yesterday I met up with hundreds of zombies at the Roundhouse in Yaletown for Thrill The World Vancouver. I was able to take a few photos but also had to pay close attention to the dancers as I was a guest judge for the costume contest. 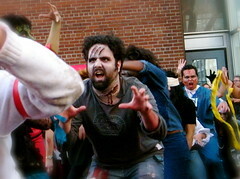 John Biehler also documented the event with photos and video on his site. You can also view all photos from the event in the Thrill The World Flickr Group pool. The event also raised funds and donations for the Greater Vancouver Food Bank society – check out the TTW blog soon for updates. Thanks for coming out Rebecca! Some great shots here.